Five Things to Know about Virginia before moving there. The home of more US presidents than any other states, Virginia is often known as the "Mother of Presidents." So, if you have your hopes set on landing a seat in the Oval Office, you might consider moving to Virginia. In all seriousness, here are a few things you should know about Virginia before making it your home sweet home. If you're thinking about moving to Virginia, you don't have to worry about a shortage of options. There are many great neighborhoods to choose from including Brambleton in Loudoun County, Lake Manassas in Prince William County, Vienna in Fairfax County, and Jefferson Park in the City of Alexandria...just to name a few! All Jersey Moving and Storage has helped families move to some of North Virginia's most beautiful and sought-after communities. From public schools to universities, you can expect a solid education in Virginia. Virginia's public school systems have been recognized for high graduation rates and top-achieving student bodies. For post-high school education, there are several four-year universities to choose from, including the Northern Virginia center for UVA, George Mason University, Marymount University and programs at Northern Virginia Community College. Some students opt to attend other schools in DC. Many of Virginia's residents have college and advanced degrees. Lesson learned: If you're moving to Virginia with children, make sure they're ready to hit the books...but look forward to the hard work paying off! The people of Virginia are used to experiencing all four seasons. You can expect temperatures to drop down to the teens in the winter season and rise as high as the 90s in the summer. Look forward to enjoying cherry blossoms in the Spring and icy, slippery roads in the winter (drive carefully and beware of bad traffic!) If you're moving to Virginia, don't leave behind your seasonal clothes, snow shovel, BBQ or gardening tools. They can all be put to good use! With great universities, a strong job market, the World Bank and two airports (Dulles International Airport and Reagan National Airport), it's no wonder that Virginia has attracted many immigrants and people from diverse nationalities. With diversity comes an abundance of delicious ethnic cuisine and enjoyable cultural events, so don't worry about boredom. There is always something delicious to eat and something interesting to do. You can also enjoy Virginia's own traditions, from Virginia wine and Virginia ham (aka. Smithfield ham) to its American colonial-style architecture. If you're moving to Virginia from New Jersey, All Jersey Moving and Storage is a moving company you can trust to execute your long-distance move. Long-distance moving is one of our specialities, but we focus on a 500 mile radius so that we can offer optimal service. When you hire All Jersey Moving and Storage to transport your furniture and other belongings to Virginia, you can expect our movers, our trucks and our reputation for quality service. 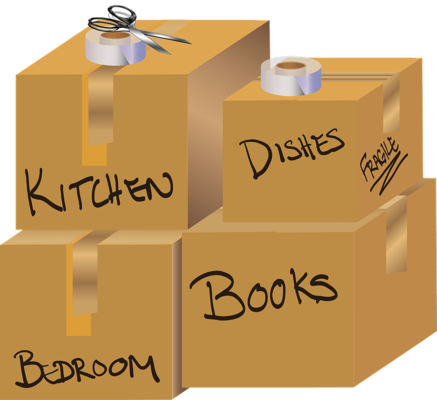 Whether you're starting a new job or moving to Virginia to be closer to family, we can carry out your move in a day or two so that you can hit the ground running and start unpacking!